You will find metered parking on the street in front and behind the restaurant. We offer valet parking as well in the back of the restaurant! 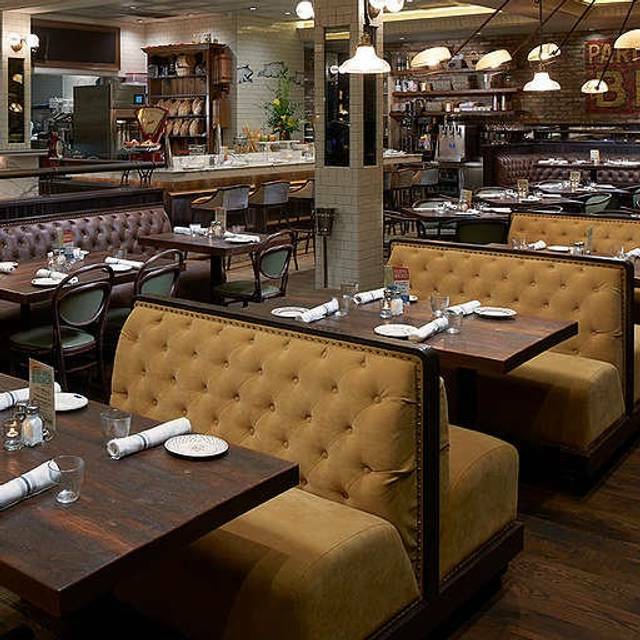 Louie Bossi's Ristorante, Bar & Pizzeria is a high-energy Italian eatery located on the famed Las Olas Boulevard in Fort Lauderdale. 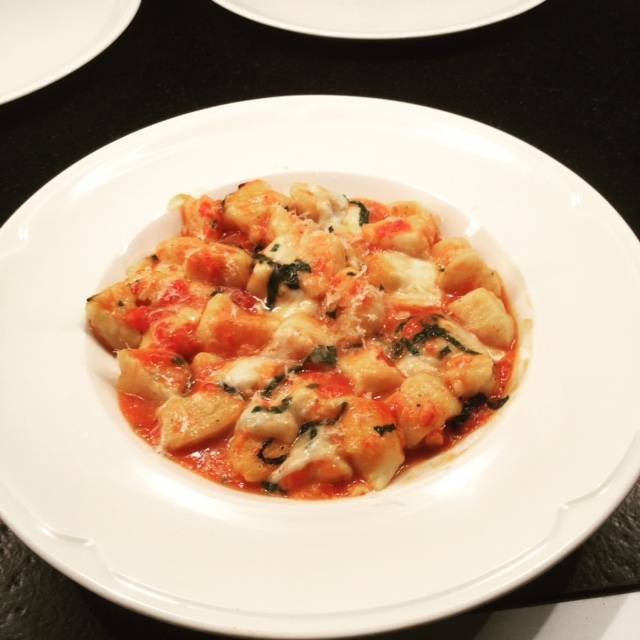 Everything on the menu is made from scratch using only the freshest ingredients. 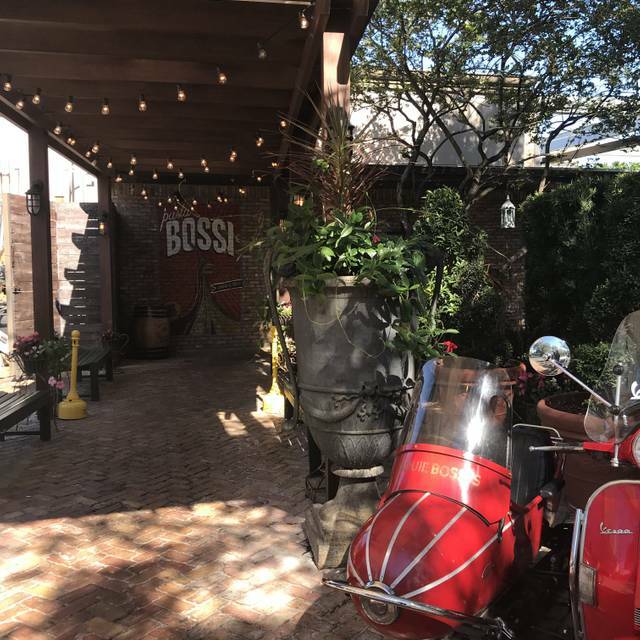 Chef Louie Bossi serves delicious house made pastas, wood burning Neapolitan pizzas, home cooked Sicilian comfort food and of course, Chef Louie's famous house cured salumi. 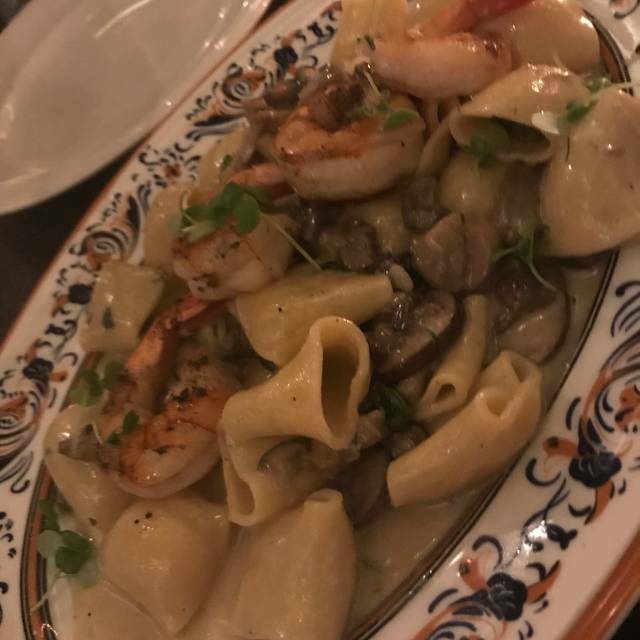 From the hearth baked bread and artisan jams to handmade pastas and pizza dough, gelato and crema di limoncello, everything is house made using the time honored methods of old world Italian chefs. - The place is clean and very good looking. - The garden is one of a kind. - You get your orders quick. - Easy parking (PayByPhone) in the back of the restaurant. - Reservation doesn’t mean anything. You get what they have and when they have available at your arrival. - Regular menu options, nothing special or modern. - Don’t have milk alternatives. - Do not substitute anything in the menu. - From what we ordered: Avocado toast and salmon toast, both with scrambled eggs, the toast bread was so stale, almost imposible to eat. Great outdoor area and service! Jon Bock is so warm and welcoming and always offers first class hospitality. There are many choices on Las Olas but people make the dining experience. Our waiter was also fabulous and I’m sorry I don’t have his name. Keep up the great service to match your great food!!! Absolutely wonderful....First time guests with two friends at the Los Olaa location. Our selections were exceptional and we could find no fault with the courses. The linguine was cooked to perfection and held its constancy theoughout our meal..the calamari was light, tasteful and perfect with the aioli dip...my one and only complaint would be that there was not enough balsamico glaze for the caprese. Excellent from pizza to steak. Great service and ambience. Food quality is very good, though a bit pricey. Very crowded and loud atmosphere. But fun vibe nonetheless. I would definitely recommend Louie Bossie. We loved the food!!!! Shared a pizza and pasta because we couldn’t decide. Everything tasted homemade. Great service, cute area, yummy drinks!! Would love to go back if I’m ever in the area. I went to have Sunday brunch and go over plans for my cousin's upcoming wedding. We are planning for a productive meeting with great food and cocktails litte did we know this would be a horrific experience. We started by ordering our drinks and when my cousin advised our waiter that she needed two more minutes he rudely walked away with not even acknowledging what she said. At this point the pressure was on to quickly choose a meal. When the waiter returned my cousin asked some questions about the brunch options and the waiter strongly suggested the sausage dish. I ordered a pasta dish since we agreed that she would order breakfast and I would order lunch and share. Once the waiter walked away I pointed out the frittata dish to my cousin and she immediately regretted what she ordered and we managed to get the waiter's attention after two minutes. The waiter was so intimidating, I kept my head down as she built up the courage to let him know that she wanted to change her order. His response was "I already put your order in" my cousin explained that she preferred the other dish because it had onions and peppers and he again displayed his frustration. As a compromise my cousin asked if onions could be added to her original dish since he refused to change her order and he obliged. My pasta was great however my cousin's eggs were over easy and she likes them over hard. The situation just kept getting worse. She told the waiter that she could not eat the eggs that way and he removed them from the table to take back to the kitchen. To provide the waiter with some positive reinforcement I got his attention and said " I am really enjoying my meal" he walked away from me again without acknowledging me. When my cousin's food returned she ate a few bites but did not enjoy hear meal. I didn't like her meal as well and in the end we just shared my food. I spoke to a manager that offered to change our waiter but not remove my cousin's barely eaten meal. Such a disappointment ! OUR BRUNCH DAY WAS AMAZING!!! Great place to spend a birthday. The pasta dishes are all excellent! Have been here quite a few times. The food was a bit underwhelming. My wife and I both had the Spaghetti Carbonara and our friend had the Bucatini. Both of our Carbonaras were very salty. They refired my wifes and it was a bit better. The Spaghetti on both was way undercooked. I love al dente but this was not even close. The very nice manager also took mine back to refire to cook it a bit more and it came marginally better but even saltier. I am a foodie and can tolerate salt but this was even to much for me. We drove up from Miami to meet our friend. We love the vibe there and will try it again. Our waiter from Italy was exceptional and overall we had a good experience. Awesome dinner, server was extremely knowledgeable and provided excellent recommendations. The ambiance is amazing especially the back garden area. Glad we came here for a girls night out! Amazing vibe and service was great. Entrees were a bit bland but appetizers were great. One of our favorites! Love the salmon! 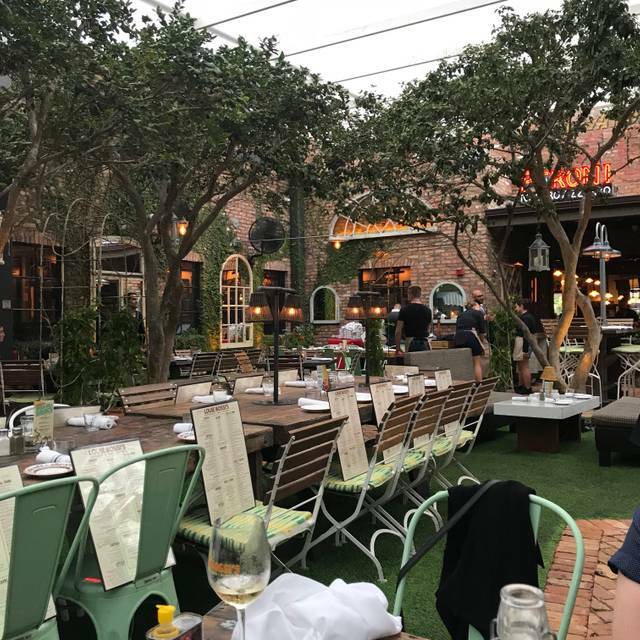 This is a beautiful restaurant and seems like "The Spot" on Las Olas. We only had pizza and some apps. They were good (meatball sliders-yummy), but pizza was slightly burnt. We didn't bother to complain. The drinks were great and bartenders were great at making them. Very nice ambiance. I would definitely go back if in the area! Overall a very good meal. We ordered two pasta dishes which were very good and moderately priced. Very hectic on weekends and Happy Hour. You can’t go wrong dining or just drinking here. We got there 30 minutes late but they seated us outside in the garden area which was fabulous. Our server was quite attentive and helpful with suggestions on the menu. Great food and atmosphere. Kid friendly. Love the ambiance and the food! Rigatoni was excellent! Hostess there is the best! Great food and fun. Make sure you make a reservation because it’s always so busy. We had a great dinner and great experience!! Can’t wait to return! Made a reservation for two on a Saturday late afternoon at 5:15 after afternoon theatre. The reservation was honored but there was only one table open inside, behind the hostess station. The restaurant was that packed at 5:15///I was very surprised. All outdoor tables full as well! meal and drinks at every turn. My guest had a soda; I had a glass of wine. We both had the pasta bolongese ...and a meatball appetizer to share. Could have done without the appetizer, which was small and not that tasty. The main course was very good...We left after that as it was noisy and a bit uncomfortable...$80 check plus tip. Could have eaten anywhere for less and with more comfort...but it's Las Olas....and there were plenty of people there joining us. Many tourists from what we could determine. I've been there before when it was slower and more enjoyable and relaxing. I would recommend finding a quieter time post season. First time at Louie Bossie's in Fort Lauderdale! 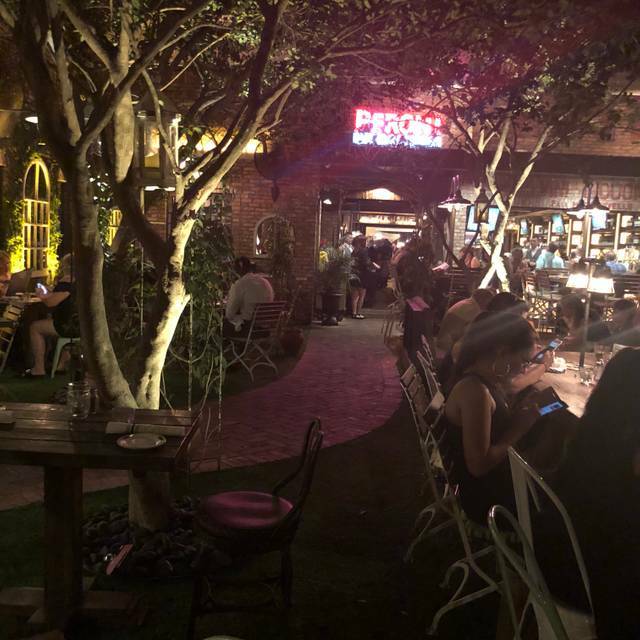 Love the vibe, the food, the service, and location! We had a reservation for two at 5:15 p.m. on Saturday evening (4/6/19), were seating quickly and our server was fantastic! We shared a Caesar Salad and the meatballs (delish), and we both had the Filet Mignon special with Tortelloni (terrific) and topped it off with cannolis. We have only good things to say about this restaurant. Unless you can't deal with a crowd and noise, we highly recommend it. Beautiful day, bottomless mimosas and delicious lunch. We could have done without the "WOO HOO'S" and hollering coming from multiple tables (large groups) - the bottomless drinks could have had a lot to do with that. A vibrant outdoor setting is fine but this bordered being obnoxious. It quieted down after a few large parties left. Would not stop us from coming back but would go closer to 2 pm. We were visiting from out of town and went here for brunch. We sat in the adorable courtyard patio area. It was outstanding. 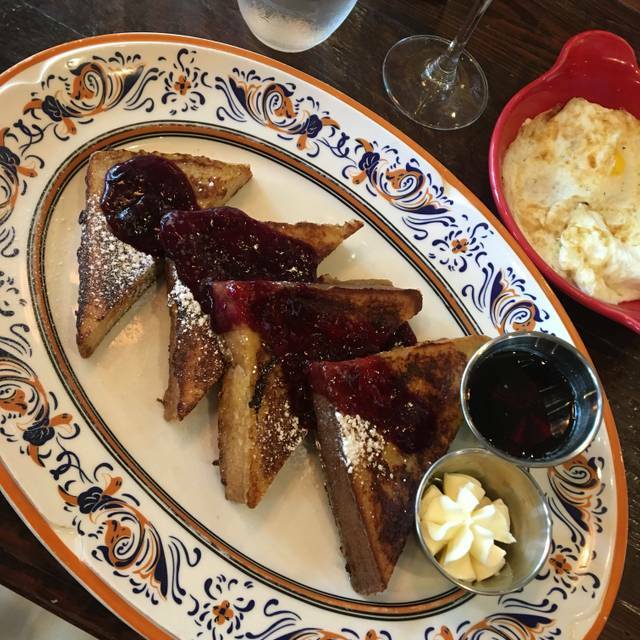 The food was delicious, especially the wood-fired pizza, and the bottomless mimosas were exactly what were were looking for. Definitely recommend! The food was just amazing. I like the ambiance and location. Service was great. 5 times now ... perfect. 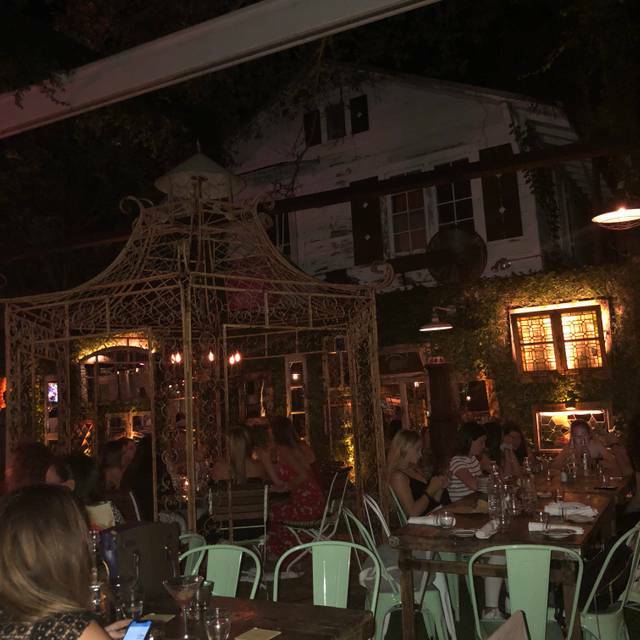 Wonderful food and nice dining outdoors! As always Lou Bossi does not disappoint! This time around I had the pasta with eggplant and san Marzano tomato sauce. Absolutely delicious, but then again I've never eaten anything here that wasn't!! Absolutely wonderful on every level!! Can't wait to go back!! Great Italian food and outstanding atmosphere. Dined on A Wednesday night and the place was packed super fun!